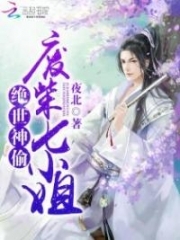 You’re reading novel The Demonic King Chases His Wife: The Rebellious Good-for-Nothing Miss Chapter 1376 online at LightNovelFree.com. Please use the follow button to get notification about the latest chapter next time when you visit LightNovelFree.com. Use F11 button to read novel in full-screen(PC only). Drop by anytime you want to read free – fast – latest novel. It’s great if you could leave a comment, share your opinion about the new chapters, new novel with others on the internet. We’ll do our best to bring you the finest, latest novel everyday. Enjoy! "But Honorable Father……at that time, I already…… expelled her from the Manor ah." Su Zian hesitatingly said. "Do you have definite proof that she isn't your daughter?" A greedy light flashed through Elder Ancestor Su's eyes. "This I don't have." At that time, all proof was sent by the Jade Lake's Li family, it was also the Jade Lake's Li family that forced him to expel Su Luo from the Manor. "Since there is no definite proof she isn't your daughter, then, she is your daughter! Besides, I, this grandfather, haven't said anything, what you did doesn't count! How could Su Manor's bloodline wander about dest.i.tute outside? Go, tomorrow, bring that loathsome girl back." Elder Ancestor Su waved his hand, with a firm tone, not allowing others to refute. 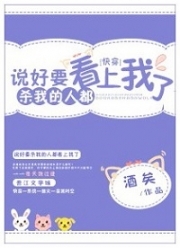 Su Zian approximately understood Elder Ancestor's plan in his heart. As long as he deceived that girl to come back, why would they still fear there will be no spirit blood? "What Honorable Father said is correct, this son will go tomorrow morning!" Su Zian seriously said. In fact, Su Luo had thought of it, her return this time, there should be a little reaction from Su Manor. However, Su Manor's strength was also just that, even if Su Zian's guts were that big, he also wouldn't dare openly come to behave atrociously on the Southern Mountains. But Su Luo hadn't antic.i.p.ated, that Elder Ancestor Su had a break through at this crucial moment, moreover, to be promoted to the eighth rank in one go. So, with a supporter behind him, Su Zian's courage also got fat, his heart also started to go wild too. This day, Nangong Liuyun was cultivating beside the waterfall, while Su Luo looked at the scenery, sitting on top of the wall. Suddenly, she saw a party of people quickly come towards the Southern Park. With only a glance, she recognized this person was Su Zian. He actually had the face to come over? The corner of Su Luo's mouth hooked into a ridiculing arc. In fact, so long as she gave an order, Housekeeper Li would naturally block Su Zian outside the door. But like this, she wouldn't be able to see a good play, Su Luo still wanted to know his backer. But she must at least give him the cold shoulder, otherwise he would still not recognize his own status. At this moment, Housekeeper Li had just blocked Su Zian outside the door. Housekeeper Li, with a stiff face and an expression so indifferent it didn't contain a trace of warmth, said: "Sirs, please return, our Master is not seeing visitors." "Is Su Luo here or not?" Su Zian bluntly said a sentence. Housekeeper Li scowled. The Su Luo the other side spoke off, now, was Southern Mountains' master. "This commander is Su Luo's father, now come to bring her home. This reason is inevitable and right anywhere, even if His Highness Prince Jin was to personally appear, he would also not be able to block it." Su Zian's complexion sunk, with a stiff face, he appeared solemn and icily arrogant. A cold intent flashed through Housekeeper Li's eyes, "See or not see you, it is still what Master says that counts. You wait for the time being." Housekeeper Li coldly gazed at Su Zian, and didn't immediately let him come in. He only waved his hand, then, very quickly, a fast figure flashed by, without a doubt, this figure went to inform Su Luo. Su Zian was the stately great general, where had he suffered this kind of treatment? Not to mention now, he had a dad at the eighth rank, still had a daughter at the eighth rank, what does the Liu Manor count as? Before too long, he wouldn't even put the imperial family in his eyes. But now, an insignificant housekeeper dared to give him the cold shoulder. Su Zian's cold eyes swept towards Housekeeper Li, his eyes were shady and sinister. The person that returned to inform was late and hadn't return, Su Zian was extremely impatient and continuously questioned. Housekeeper Li's expression was as indifferent as before: "Perhaps Master is cultivating, General Su also knows, can't say precisely if the cultivation time is a day or several years. It's hard to say, if there is nothing urgent, General Su better go down the mountain first. Wait until after Master exits closed-door cultivation, at that time, to see or not to see, you'll naturally get the news." You're reading novel The Demonic King Chases His Wife: The Rebellious Good-for-Nothing Miss Chapter 1376 online at LightNovelFree.com. You can use the follow function to bookmark your favorite novel ( Only for registered users ). If you find any errors ( broken links, can't load photos, etc.. ), Please let us know so we can fix it as soon as possible. And when you start a conversation or debate about a certain topic with other people, please do not offend them just because you don't like their opinions. You're reading The Demonic King Chases His Wife: The Rebellious Good-for-Nothing Miss Chapter 1376. This novel has been translated by Updating. Author: Su Xiao Nuan,苏小暖 already has 6839 views. Current Time is Apr-19-2019 14:31:27 PM.